Trained for two years and a half in order to become professional. His first maestro was La Cobra at Gimnasio Atlas, then Fantasma de la Opera (Alvaro Mejia). After them he went to the Sindicato Nacional de luchadores where he met and trained with luchadores such as Gran Hamada and Kuroneko. He mastered both sides as rudo and tecnico. His wrestling style is technical and high flying. As Guerrero Solitario he won a Costa del Pacífico Championship against Príncipe Blue in Mazatlan, Sinaloa. 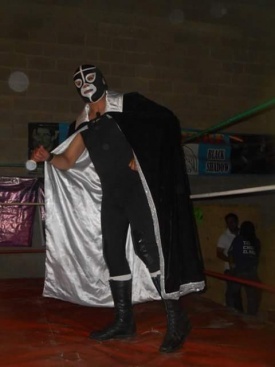 He was half of the tag team Los Hermanos Shadow as Black Shadow II. He took the mantle of Black Shadow with the permission of Black Shadow after Black Shadow Jr. I. 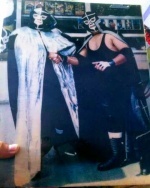 His most notable rivals were Los Misioneros de la Muerte, Los Villanos, Bestia Salvaje and El Dandy. Trainer at Arena Lopez Mateos and at the Police Academy of Tultitlan. He formerly trained new generations of wrestlers in Mazatlan.